Lower Price Hill is a neighborhood that has seen better days, but recent and ongoing efforts to turn things around in the largely Appalachian and Hispanic community have begun to prove successful. Some of those efforts include the more recent co-op approach being employed by the Lower Price Hill Community School to help deliver services and offerings that are not currently available to residents of the historic neighborhood. But it is the $21 million renovation of Oyler School that is seen as the spark for the recent improvements. Amy Scott, an independent documentary filmmaker and correspondent for public radio’s Marketplace show, says that she has spent a year reporting from Oyler, and believes the documentary tells a story that has become commonplace throughout America. “Oyler tells a gripping story of individuals fighting for change in a unique American community, but it also takes on one of our country’s most pressing challenges – the persistent achievement gap between low-income students and their more affluent peers,” wrote Scott on the project’s Kickstarter page. 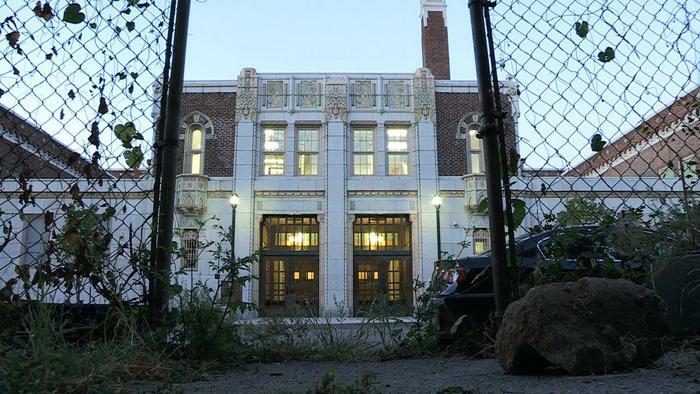 The major underlying theme is about how Lower Price Hill is using its public school to transform itself and the lives of those who call it home. In a more direct message, the film also speaks to the nationally acclaimed community learning centers being employed by Cincinnati Public Schools. While Scott’s team has already been successful at raising just over their initial goal of $25,000 for the film through Kickstarter, the campaign will remain open for one more week. The team says that the funds will be used to cover the costs associated with producing an original music score, sound mix and color correction, rights for commercial music and archival footage, and a professional website. After the campaign closes next week, the team will get to work on finishing up the documentary and doing the requisite post-production work for a film of this nature. They say that there will be film screenings in Cincinnati and Baltimore next fall, at a minimum, and at other locations depending on those who provided more than $5,000 to the campaign. Next articleWill Uptown Transit District increase ridership for Metro?